Joel went outside the other morning with Rebecca, and encountered a creature he’d not met before right there in his backyard. It was much smaller than Joel and walking around, and he decided he needed to go meet it. He took a few steps toward it, and it took a few steps away. He took a few steps faster, and it ran faster away. Joel started started running toward it, and IT LEFT THE GROUND! This creature was suddenly IN MIDAIR, with nothing underneath it! JUST IN THE AIR! With no ground under it! It just took off as if that were a perfectly normal thing to do! Not on the ground! In the air! Joel turned back to Rebecca with this “Did you see that!?! ?” look on his face, and then stared, dumbfounded, at the thing until it was gone. He’s never going to understand, the way we do, concepts like gravity and lift and drag and airfoils and aerodynamics and the low-density of hollow bones. But he’ll get older and kind of figure out that the world works in consistent ways, and everything he witnesses generally meshes with those consistent rules and there’s not really any magic. But right now, there is. And, really, it’s not a bad perspective to have. I was recently offered an advance copy of “Love Letters from God: Bible Stories for a Girl’s Heart” by Glenys Nellis to review for this blog. 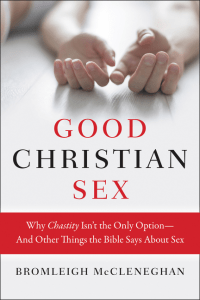 This review is a guest post by Rebecca Hitt, since she has experience having a girl’s heart. I have a confession to make. I am guilty of a pretty big sin. And have been since I was a little girl. For a long time, I allowed myself to stew in this sin. Are you ready to know what it is? Alright, here goes… I, Rebecca Elizabeth Hitt (formerly Freeman), I am guilty of envy. Of whom, you might ask? People in the Bible. I admit it. I used to read Bible stories where God spoke directly and out loud to people and I felt envy. How come God used to speak to people, but not anymore? I wanted to hear the voice of God! I wanted to be so dear and loved to God that he spoke to me! Why was I not special enough? Was I not good enough? Why not me, God, why not me? Over the years, I have learned just how often I *do* head the voice of God. But sometimes it’s helpful to get a gentle hint. “Love Letters from God: Bible Stories for a Girl’s Heart” wonderfully illustrates the way God speaks to us now and works on our behalf. It beautifully ties stories from the Bible to life today and shows how the two are related. After each story comes a “love letter” from God that draw a correlation between the story and our lives. Each story is labeled without identifying the Biblical figure it’s about. Just “The _____ girl.” The Hopeful Girl. The Busy Girl. Who among us hasn’t been hopeful? Who hasn’t been busy? Whenever we place our hope in God, we are Hannah. Whenever we are busy, we are Martha. Not only does God speak to us, He speaks to us through the people in these stories. I really enjoyed this book. I hope that anyone who reads it — girl or boy, child or adult — walks away with a renewed sense of God’s presence in their life. I was recently offered an advance copy of “Lessons from the East: Finding the Future of Western Christianity in the Global Church” by Bob Roberts Jr to review for this blog. 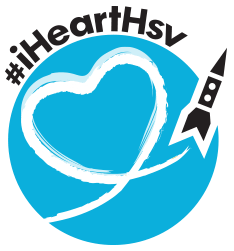 Since she enjoyed the last review she did and wanted this one as well, today’s entry is a guest post by Rebecca Hitt. You know, I like to think I know things. Well, I feel like I know a few things at least and am reasonably confident that I know how some things should work. I know Shakespeare’s Sonnet 18 by heart (or used to…). I know how to scramble an egg (with bacon grease, of course, being a good, civilized Southern lady). I know how to play Pachelbel’s Canon on piano. I know how to beat a large foam ball until it looks exactly like a heavily cratered moon. And like a lot of American Christians, I’m fairly certain I know church. And “how to” church, so to speak. You bow your head when you pray, you sit in your designated pew at your local church, you put some money in the collection plate when it passes by, you sing a few hymns slightly off-key (but not too loudly, let’s not get carried away now). Maybe you invite someone from work to come to Sunday School with you or you pitch in for some community service. It’s a well-oiled machine of a system and you know it well. And a good many American Christians are comfortable with the routine. It’s not too hard. It doesn’t really require much out of you except on Sundays and maybe Wednesday night. But what if… what if that view of proper churching was incomplete? Or even spiritually inadequate? 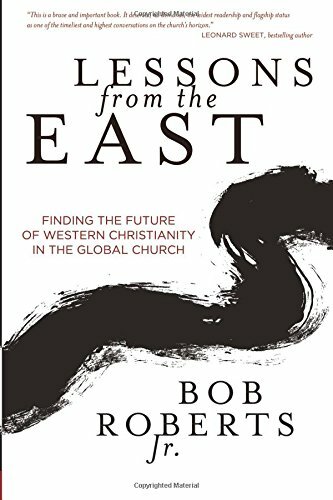 Bob Roberts book, “Lessons from the East” sets out to shake up the Western view of the church’s purpose and how the church functions. The book is written as a challenge and a call to arms for American ministers, pastors, and church leaders. Basically, it says, if you think you know how to successfully grow or plant a church, you probably are wrong. Roberts uses examples of his extensive world travels and visits with world religious and secular leaders to convince the reader to rethink concepts that may have seemed a given, like what a successful church looks like. Well, clearly it’s one with an extremely large worship sanctuary and thousands of people attending any one of the multiple services, with just the right amount of projectors and screens, a nice sound system, and reasonably talented praise band. Everyone reads just the right books and speaks just the right words. Even better if the church is supporting multiple missions in a handful of countries. And if your church doesn’t look like that despite your best recruiting and fundraising effort, despite having followed THE tried and true formula for structuring church… sorry, Pastor… guess it’s just not in the cards for you to be one of the “good” preachers. Or maybe it’s the Enemy who is keeping the masses from busting down the doors to hear your sermon. Or maybe if you had had a hipper youth program, families would have flocked to join. But certainly not your methods, right? Roberts proposes that you are looking at it all wrong. According to him, mistake number one that you made is that you failed to actually serve your community. Not communities in Africa or Asia or Central America but the one you are living in. You failed to meet the needs of people around you. Before you build a church, address the needs of the locals. In other parts of the world, that might look like provide access to clean water or creating gardens to produce food. Here it might look like providing childcare to single working parents. Serving others shows you truly care and wins their trust and respect. Roberts stresses respect as a vital tool in creating a successful church. Respect for customs and religions of other cultures and strong sense of kindness has gained Roberts access to areas in the Middle East and Asia that are usually more difficult for Christian missionaries to visit. Second mistake you made was wanting to build a mega church when instead you should be forming cell churches focused on discipleship. He explains cell churches are similar to the small group movements in a lot of American churches but not nearly as categorized. Instead of youth groups and women’s groups and singles’ groups, they need to be diverse with people of various ages, social statuses, and interests so they can help each other grow spiritually. And lastly, you had a picture of what YOU thought good proper church should look like. You never asked God what it needed to look like. Maybe He needs it to look like a couple of families gathered together in someone’s home. Maybe it looks like a group of coworkers that gather in breakroom during lunch. I’m not a church leader. I’m not a preacher. I don’t even teach a Sunday School class. So what did I get out of the book? A question that kept popping up in my mind was “What do you want to be when you are a grown Christian?” I want to be kind. I want to be compassionate, to others and serve with a glad heart at every chance. I want to live my life in such a way that to mention I believe in God is redundant. To love others in such a way as to remind them of the much greater and infinite love that God has for them. I don’t want to be good at churching; I want to be good at following Christ. I never want to get so lost in the ritual that I forget the reason. I want to break down my expectations and allow His will to work through me. I don’t want to know church; I want to know God. by Jean-Pierre Isbouts to review for this blog. 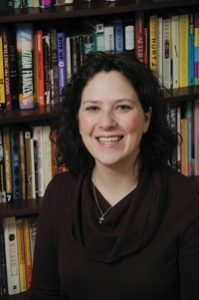 Because my wife absconded with the book immediately upon arrival, today’s entry is a guest post by Rebecca Hitt. When was the last time you prayed a prayer so beautifully worded, so breathtakingly, artistically crafted that as a result of your prayer, the world would be forever changed? Take a moment to think about it. This can’t be just any prayer, now. No simple prayer for sunshine during vacation or for the gas in your car to last a few more days until pay day. Not even one that rendered a profound effect on your life. This has to be one that radically and dramatically changed the lives of countless others both in the world around you and in the world to come, for generations… people you would never meet, people seemingly unrelated to you save that one thing… that one change, that one difference that came about a result of that intimate moment between you and the divine. People would listen to or read the words of your prayer and find themselves inspired, humbled, touched, revolutionized. Changed. Do you have that memory? Do you have the number of how many times you have prayed like that in your life? And their prayers are good. I mean, really good. Beautifully worded. Not a word too much or a word too little. I can’t pray like that. A good many of my prayers don’t even have words. For me, the book pushed me to examine my own prayers. When I was little, I thought that when I prayed, I had to use my absolute best grammar, with the most flowery language possible. Maybe with a few thee-s and thou-s thrown in there for good measure. Because isn’t that what God desires? Isn’t that what He deserves? And aren’t the well-worded prayers the ones that God answers? As if I could just craft a prayer good enough, maybe He would hear. Maybe He would answer. As I grew older, I realized that prayer wasn’t about me presenting God with a pretty turn of phrase. It’s not about me and what I can do. I could never plead my case good enough to get anything or change anything. That prayer is about a moment of connection with my God. When I cry out to Him without words, silently pleading with Him to work through me whatever it is that needs to be done because I don’t have the faintest clue, He hears me. When I beg Him to give me whatever it is in my life that He decides I need because I don’t even know what it is I should ask for, He answers me. The ten people in this book didn’t set out to write a good prayer. Not even a half-decent one. They opened their hearts and their mouths to God and just spoke. Sincere, honest, heartfelt words. Their prayers are not profound because they are exceptional writers. They are profound because the authors, in a vulnerable and exposed time reflected in their words, remind us of ourselves. So if you are looking for a few of the prayers and stories that altered the course of human history, this is the book to place at the top of your to-read list. From time immemorial, prayer has provided comfort in our darkest hours, stirred us to action beyond what we thought possible, and shown us the way through seemingly insurmountable challenges. 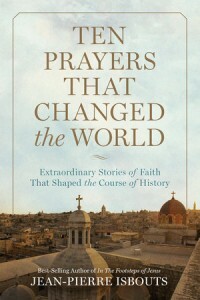 In this engaging tour of world history, author and historian Jean-Pierre Isbouts takes us on an inspiring tour of ten prayers that played a pivotal role in world eventsófrom the divine inspiration of Joan of Arc to Martin Lutherís powerful hymn, “A Mighty Fortress is our God”; from†Abraham’s poignant†plea to save his son; from George Washington’s prayerful words to the newly formed American states to the horrors of Auschwitz; from Constantine the Great’s prayer before battle to Gandhi’s deeply moving “prayer of peace.” Ten Prayers That Changed the World delves into the moments in history where faith and prayer intersected with the course of mankind. Jean-Pierre Isbouts is a bestselling author, historian, and award-winning director of documentary and feature films. 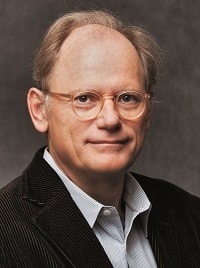 A humanities scholar and professor at Fielding Graduate University of Santa Barbara, California, he has published widely on subjects in art, history and archaeology, and directed films for Disney, ABC, Hallmark, History Channel and other studios and networks. He has also produced a broad repertoire of classical music with ensembles in New York, Los Angeles and Amsterdam. Find out more about Jean-Pierre at his website.